Whether you’re leaving footprints in the sands of the Sahara, meandering through the market in Florence, or navigating the broken sidewalks of your own neighborhood, feet take a beating, especially in summer. Last week’s article provided tips on finding the perfect summer travel shoes and, although choosing the right shoe can help keep your feet energized and blister-free, we all need to take some time to thank our feet for their hard work with a routine of regular maintenance. For this, I turned to the expertise of a hand and foot care specialist, Ms. Patsy Mulvihill of Patsy James Exclusive Nail Spa in Bellevue, Washington. With her bright blue eyes, her ready smile, and those hard-to-miss golden curls, she may look like she’s only 25, but Ms. Mulvihill has been taking care of the hands and feet of celebrities, dignitaries, and VIPs for the last 19 years. Before starting her own exclusive nail spa, she was Head Trainer and Department Manager at Gene Juarez, a popular salon and day spa in the Seattle area. She also spent many years building up retail shops for butter LONDON before being endorsed by them as the flagship service provider for their famous butter LONDON Waterless Manicure and Pedicure. Knowing all this, and having experienced her renown TLC first-hand, I knew she would be the perfect person to give me advice on how to take care of hard-working, traveling feet. She recommends the FC5 Cooling foot creme from Arbonne, which, as an Arbonne consultant, she carries in her spa. She says it is important to moisturize your feet everyday, especially at night, so the moisturizer has a chance to do its magic under the cover of cozy cotton socks. This also keeps it from rubbing off in your shoes before it has a chance to work. Every other day, or as skin gets dry and flaky, it’s a good idea to exfoliate your feet as well. You can do this after your shower, once the skin on your feet has had a chance to soften up. “My favorite tool that I have used since beauty school is called the Swedish Clover™ Fot Fil.” Use it to work away the flaky skin and hardened callouses, but not so much that your skin becomes raw and overworked. Between exfoliation and moisturizing, your feet will be ready for action whenever you are. Washable files, such as the 100/180 grit Purifiles Disinfectable Files, work well to shape and shorten the nails, she says. For a healthy looking shine, without any nail polish, reach for her favorite nail buffer, the D-File™. 4. Don’t forget the cuticles! Cuticles are a vital part of healthy nails and feet, too. They protect the nails from dirt and bacteria, which can lead to infection. Keeping them healthy is just as vital as anything else you do to take care of your feet. 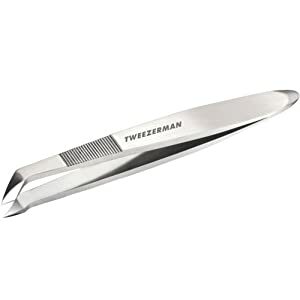 To do this, gently push them back with wood manicure sticks and then trim off the dead skin with Ms. Mulvihill’s favorite cuticle tool, the stainless steel Tweezerman V-Cuticle Nipper. Don’t tug or pull at cuticles when they loosen up and pull away from your skin. This can damage the cuticle matrix and allow dirt and bacteria underneath the nail. 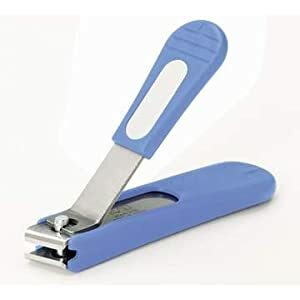 Just trim the unsightly and agitating dead skin with the cuticle nipper. If you really want to knock your socks off (pun intended), Ms. Mulvihill recommends using any of the body sugar scrubs, shower gels, and massage oils or body lotions from the Skin Organics brand to create a multi-sensory, at-home pedicure. At her nail spa, she is currently offering an anti-aging pedicure using the Cherry Marzipan line. Skin Organics is the perfect brand with which to do this because of the different variety they offer. Each season brings a new idea to keep things interesting and fresh. In the fall, she does a Spicy Pumpkin pedicure and, in the winter, she indulges her clients with the Chocolat line. Now that your feet are feeling soft and fresh, your toenails may be hankering for a little splash of color. While Ms. Mulvihill has seen a lot of people opting for natural fingernails these days (“Falsies are out”, she says), color is still very much in for both fingernails and toenails. According to our expert, you can’t go wrong with the many colors butter LONDON offers. Always start with a clear base coat, then do a couple of rounds using your chosen color, and finish with a top coat. If you’re in the Seattle area, the only professional hands for your feet are, of course, those of Ms. Mulvihill herself. At the Patsy James Exclusive Nail Spa, pedicure services start at $40 with either a butter LONDON Signature Pedicure or a mini-pedicure. The Classic Pedicure is $65 and includes “a warm foot bath, skin exfoliation, nail shaping, cuticle care, mini reflexology massage, callous care, and lacquer application”. And, for an even greater indulgence, enjoy the Spa Pedicure, which is $75 and includes everything from the Classic Pedicure with the addition of a warm paraffin treatment. Ms. Mulvihill provides peace of mind and one-of-a-kind, luxurious service when it comes to taking care of weary traveling toes and feet. Even though she has worked with a lot of celebrity and VIP clients, you don’t have to be Angelina Jolie to be treated like her. Ms. Mulvihill is a master at making every client feel like a VIP. To book an appointment, it is advised to do so as far in advance as possible. You can view all of her services and even book them online at her website. Whether you keep your routine simple at home, or leave it in the hands of professionals, keeping your feet happy and healthy is an important step for any road warrior. Hi, Mom! If Patsy was giving the pedicure, you’d be hooked forever, I’m sure. 😉 Otherwise, we may have to look around for a good place to try together around here! Love ya! My feet took a beating in Africa…camping, etc. I even got a pedicure while I was there.